The main focus of Mobile-Review.com (established on 2nd September 2002) is mobile devices and technologies; we also deal with PDAs, DECT-handsets, MP3-players, digital cameras and accessories. Our audience includes both mobile professionals (working for local the local divisions of manufacturers, distributors and retailers) and ordinary users, looking for up-to-date information. Our online resource is popular with both groups due to the guideline we follow; not only do we publish in-depth reviews of new handsets long before their actual release dates, but we also create comparative reviews and analytical articles on both the Russian and European telecom markets. 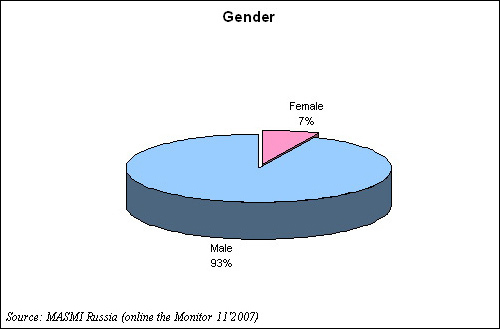 Our readers can access all the information they need on mobile phone markets in one place, both in English and Russian. Unlike other resources on the Web we never adopt information and always release only exclusive articles. This means that our readers get access to primary data, which is more relevant. Our expertise is also proven by the adoption of these articles by many online and offline magazines (in various forms). Alas, it is not uncommon for the information they provide to be distorted. Another Indirect proof of our portal’s professionalism is in the fact that for almost three years the reviews found at ww.Mobile-review.com were used in the Russian magazine “Russian Mobile”, which focuses on mobile communications. Over this time span the magazine published more than one hundred and twenty edited reviews (trimmed editions of the original articles with no original images included). As of today, our portal no longer cooperates with this magazine. Second, the information found on the site is constantly modified and updated. Not only does this enable us to rectify mistakes, but it also allows us to remain on top of events and developments i.e. new device specifications. Our motto is «Write simply about sophisticated things», and this is exactly what we do. 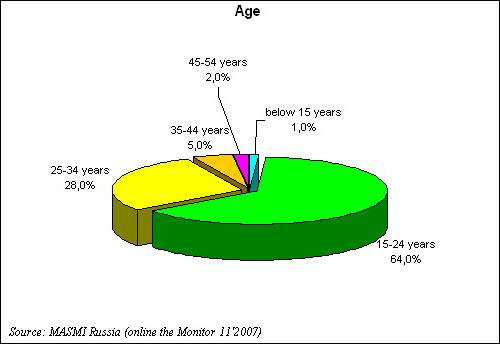 (based on the research carried out by MASMI in November 2006, and Mobile Research Group’s own data collected in September 2006). 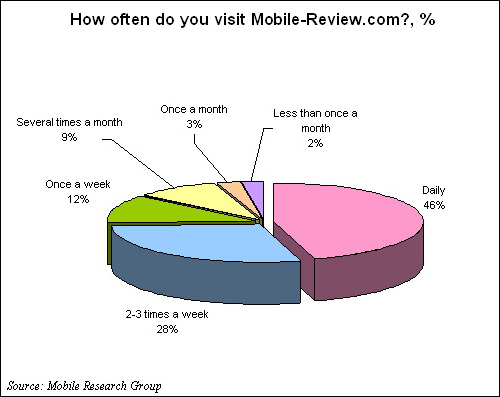 Most active mobile-review.com readers work in the telecom, IT and commerce industries. 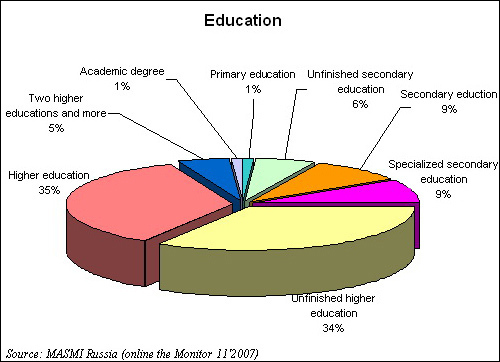 Over 15% of the respondents occupy mid and top level management positions. If you have any questions or comments about a review or an article you have just read please direct them to the relevant author. All the relevant e-mail addresses are given at the end of every article and next to every news item. All letters sent to one of Mobile-Review’s departments or authors may be used, partly or wholly, in the preparation of articles, news items or in any other manner. Letters that have an explicit stipulation that their content may not be published unless permitted by the author will not be used without such permission. Please do not write to our staff asking what phone you should pick or what device is best. Our staff will not answer any questions about release dates, or prices and availability in your local stores. Such questions are to be posted in our forums, where they are likely to get an answer. We reserve the right to leave letters unanswered. Our staff members reply to most letters they receive, but unfortunately the volume of correspondence is overwhelming, which is why, on certain occasions, it may take us up to two weeks to reply. Please be aware of this and be patient – there is no need to send two letters. Direct all your questions regarding articles and images published over at Mobile Review to these addresses. Authors of original material should write to these staff members first. Should any manufacturer claim that information published over at Mobile-review.com violates its policy regarding classified information, we reserve the right to use such letters without prior notification regardless of whether they contain warnings or not. Mobile-review.com will never disclose its sources of information. Mobile-review.com is an independent online magazine, running in compliance with Russian Law on Mass Media and relevant international legal acts. Mobile-Review.com owns exclusive rights to all materials published over at www.mobile-review.com. All editorials and other articles found on the website are the property of their rightful authors, whose names are stated at the end of every article. Authors can not publish these materials on other online resources (barring personal webpage/resource) or in any other media, unless permitted by the website administration. Reprints, as well as any other kind of distribution of the materials found at Mobile-Review.com (reviews, articles, researches) are prohibited without our prior written permission (a non-electronic copy of such permission is obligatory). The editorial policy of Mobile-Review.com does not allow you to download and modify individual pages or substantial parts of our website nor to make the website available via an intranet, where the website or a substantial part of it is hosted locally on the intranet in question. The Editorial policy of Mobile-Review.com does not allow using original images in online or print media, unless permitted by the website administration. In case our logo has been deleted via an image editor or replaced with any other kind of information, Mobile-Review.com will insist on acquiring the source file of the image in question (in high resolution). Logos, graphical signs of other companies, and official images of products are owned by their creators and published at www.Mobile-review.com solely for informational purposes. If you think these publications violate your rights contact us and we will remove the images in question. Both online and print media may quote materials found at www.Mobile-review.com without prior notification of our editorial staff. In this case, “quoting” implies using one-two paragraphs (but no more) of the editorial in question, without modifying the text; citing the source is obligatory. Online resources should provide an active link to the source (either the main page or the article in question) at the end of a quote. Online resources may also explicitly refer to materials found at www.Mobile-review.com by providing the title and link together. In this case, no permission is required. Online resources may also frame www.Mobile-review.com pages into their own websites, in which case the content of our page may not be modified; no special permission is required to quote our materials in this way. An example of such frame-in can be found here. Online and print media may use news items from www.Mobile-review.com provided that the source and author are cited (online resources must provide active links), in this case all accompanying images, including those coming with the logo of Moblie-review.com, may be used as well. Resources that would like to port our news feed to their websites should send a request to info@mobile-review.com in order to acquire our permission and details on implementation. Expert opinion. If you are working on an article connected with mobile technologies and telecommunications and need an expert opinion, we will be happy to consult our colleagues, in which case you will need to credit the person who gave you the advice, as well as our website, in your article. Reprints. You will need to write us a letter and we will supply you with the required materials. All articles are provided as is and can not be modified, tailored or shrunk in any way; the only modification option is spell-checking; all notes and relevant local data must be expressly separated from the text we provide (as an insert or framed text). All materials are provided for one-time publishing with Mobile-review.com not passing on the copyright in any way, direct or indirect. Payments for such publications are subject to further negotiations; among accepted options are fees and placement of our advertisements next to the article we provide. News. You can use any news items from our news feed, provided that you include a link to our portal as the source. We would be grateful if you place our logo next to the news item you borrow. You can download it here (65 Kb, EPS packed in zip). Photobank. All images used at Mobile-Review.com are available in high-resolution; you can order the images you need; to do that you will have to list the files you would like to receive (as links), and in turn we will send you our price-list. Attention: In most cases source files haven’t been processed in image editors and may differ from what you see on the site. Create a magazine or newspaper with Mobile-review.com. Our company would be glad to supply you with top-notch materials for your magazine or newspaper – in which case you will be able to reduce your editorial staff and get high-quality and up-to-the-minute content (articles and images). A yearly license fee is subject to further negotiations and may vary depending on the number of printed copies of your magazine/newspaper, its size, and geographical location. Mobile Review owns a test lab, where all phones and accessories are tested and examined. We also review the abilities of portable PCs, and unusual devices that in some way correlate with the mobile lifestyle. If you have a device that you think our audience might be interested in let us know about it at eldar@mobile-review.com. Every device will go through battery of tests that usually takes no less than 8 days, and then we will return it to its rightful owner. It is important to realize that not only do we test devices within our laboratory, we also carry out field tests, and thus we cannot guarantee that devices will remain in pristine condition (e.g. stickers on displays) after the devices have been subjected to all the trials and tests. Once an article is ready, it may be forwarded to the device manufacturer for further review, however, neither the style nor the opinions expressed in the article can be edited by the manufacturer. If you are not sure whether the device you have to offer is valuable, operable or is of any interest to our audience, please try not to waste your and our time, for the ensuing review won't be positive. Every device we receive is given an overview in an article or a review, which is then posted over at www.Mobile-Review.com. At the end of these write-ups we will include a reference to the company that provided us with the device in question. We guarantee that the link will remain in place for the period of one year; we reserve the right to remove it at any time after that. Should the company wish it, we may not give any links or references at all. We never keep devices we have tested, they are always returned to the companies that provided them. Mobile-Review.com has no specific preferences for brands or devices. Updates. Oftentimes we receive devices several months before their official release dates. In this case we highlight all the features that differ from the manufacturer’s claims. As soon as our lab gets a commercial edition of the phone, we put it through our tests again and examine any and all changes. However, even such a thorough approach is not fault-free and cannot guarantee that all our reviews are free of minor inaccuracies; for example, manufacturers work on improving functionality of their phones every week and update firmware versions on a regular basis. Every new firmware version may differ from the previous one in a fundamental way. Unfortunately, we cannot test every device with all the firmware versions available for it, which is the reason some inaccuracies may still be able to slip into our reviews. Also, please do take into account the fact that over time since a review was released, both prices and release dates might have changed and we cannot be held responsible for this. We would be very appreciative if you could point out possible mistakes in our reviews by sending your observations to info@mobile-review.com or posting them in our forum section “Materials of site”. If you have a specific inquiry about a review that is not available over at Mobile-Review.com, write to us and we will try to write a review as soon as possible.